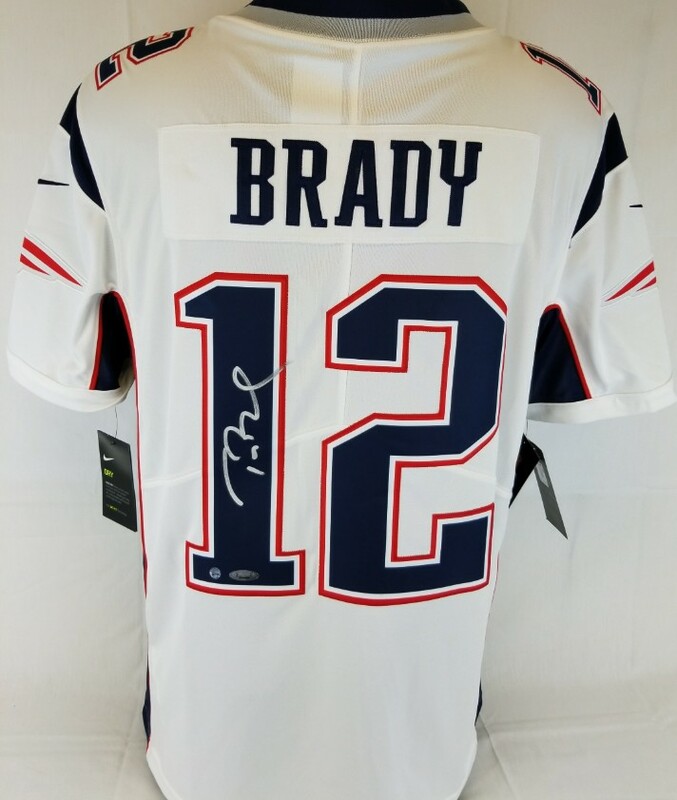 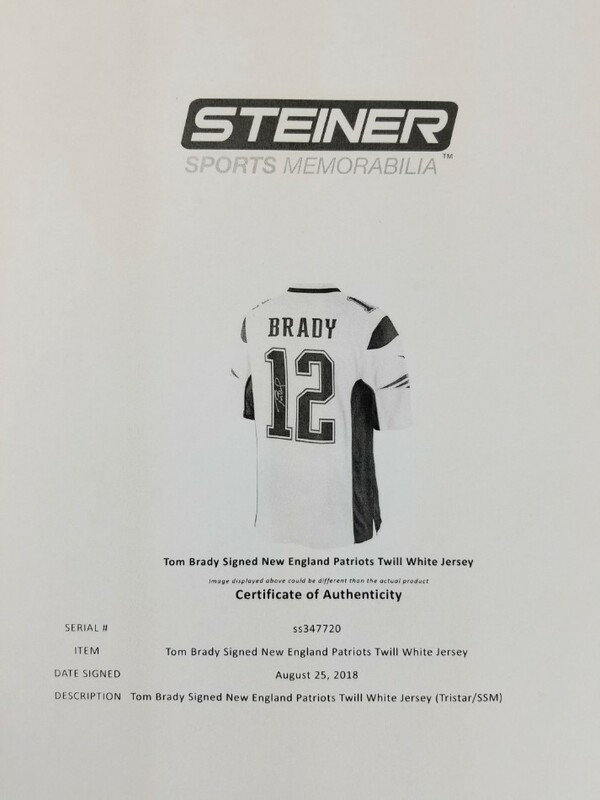 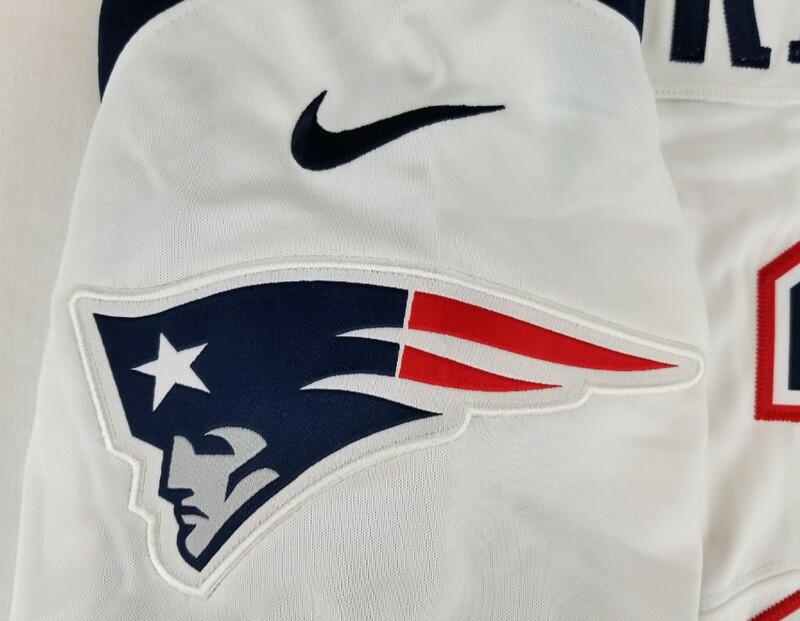 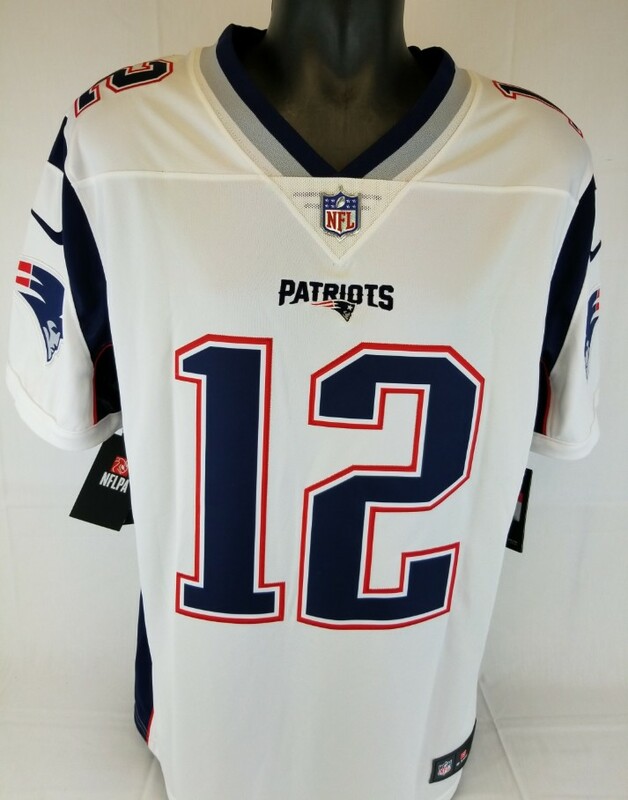 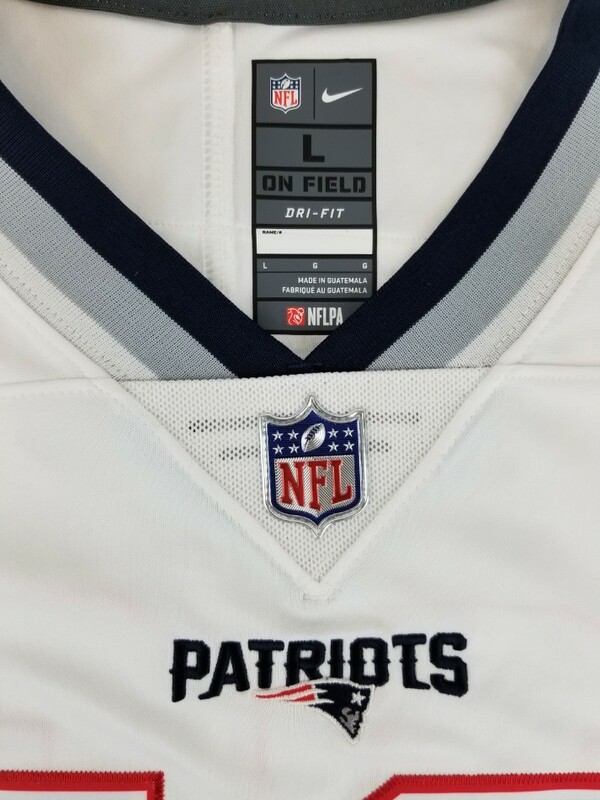 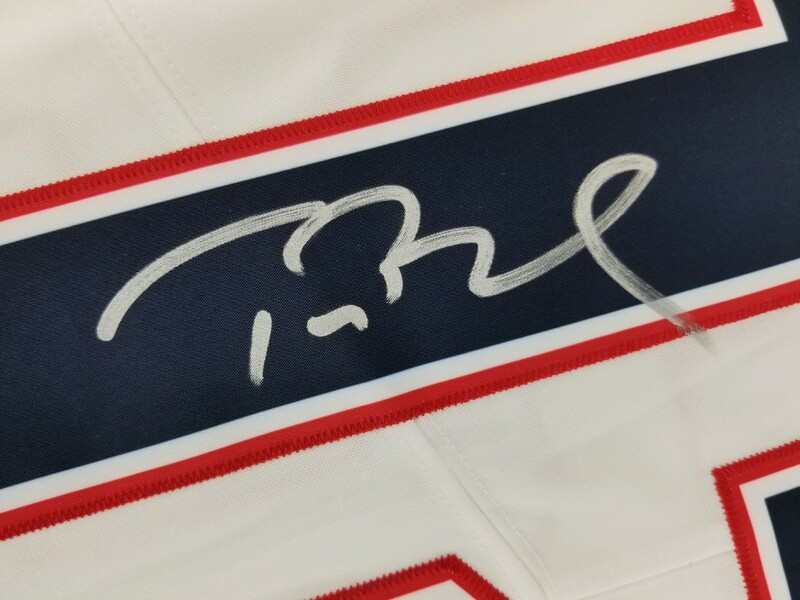 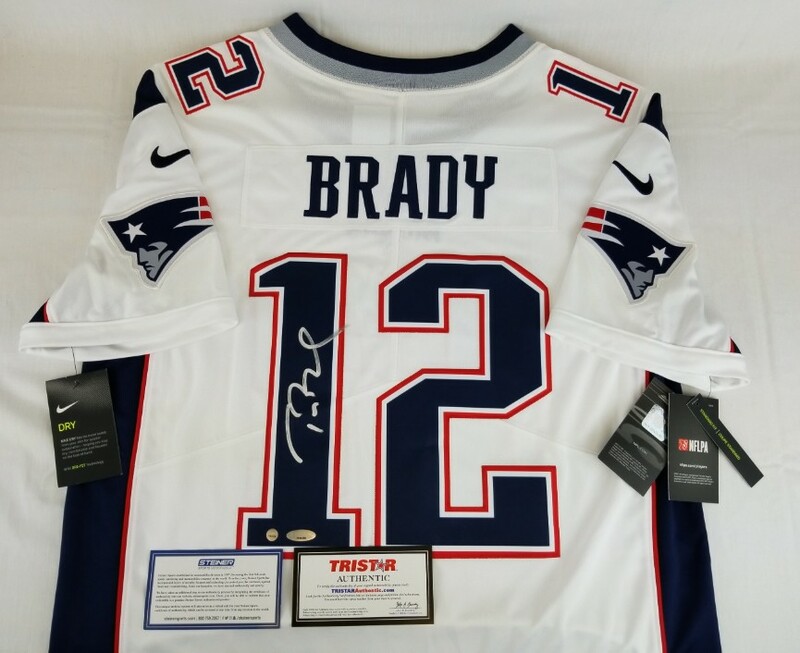 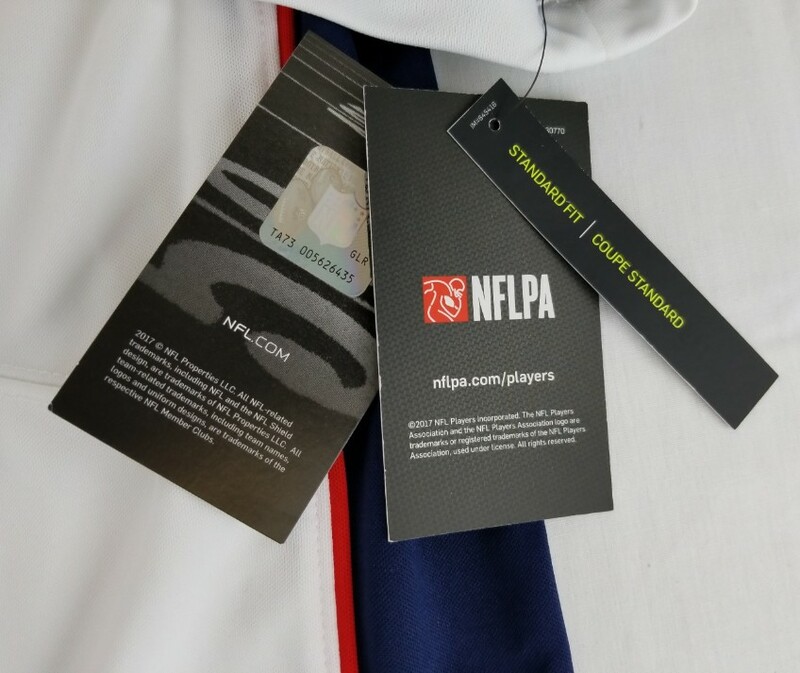 This autographed Nike Limited On Field jersey has been personally hand-signed by 6 time Super Bowl Champion, Tom Brady of the New England Patriots. 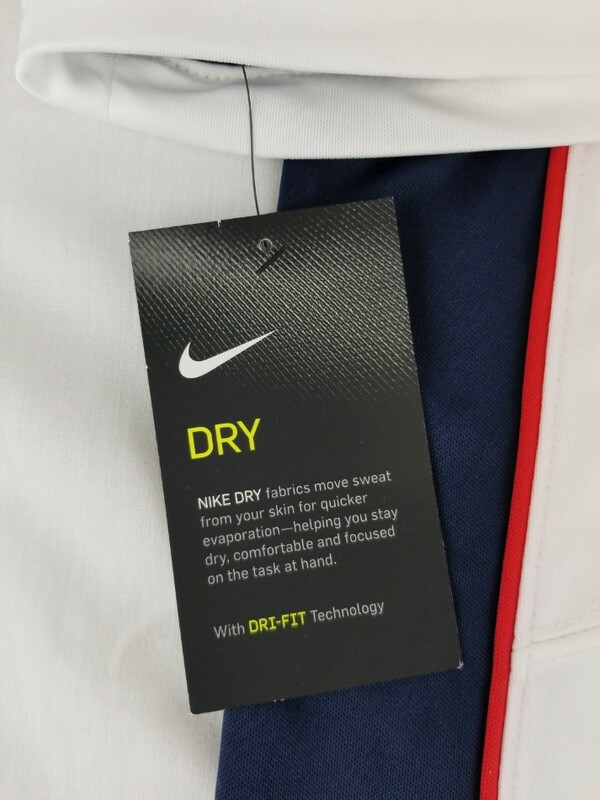 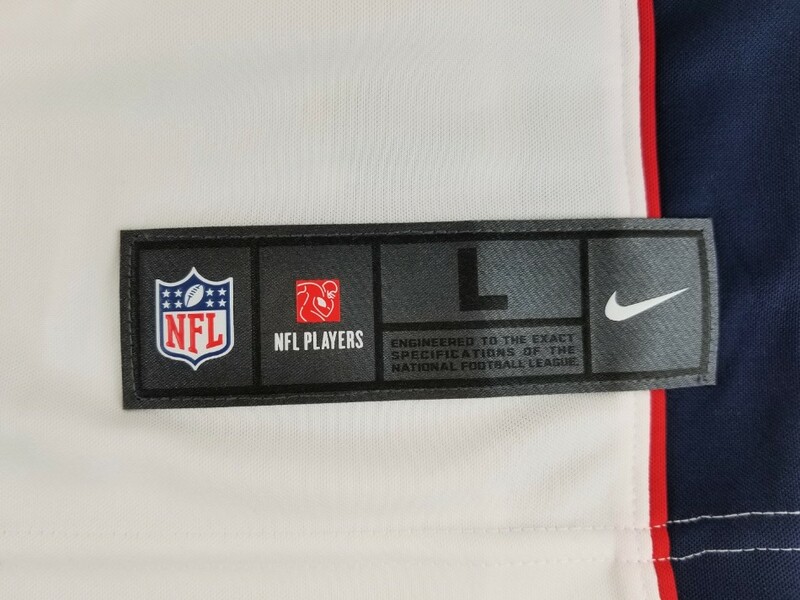 The price tag on the jersey before the signature is $150. 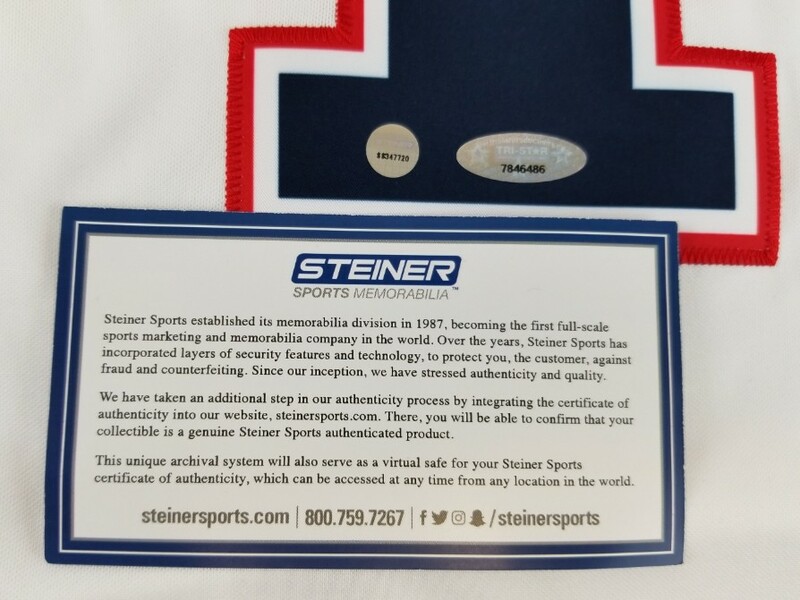 This autograph is certified Steiner Sports and Tristar. 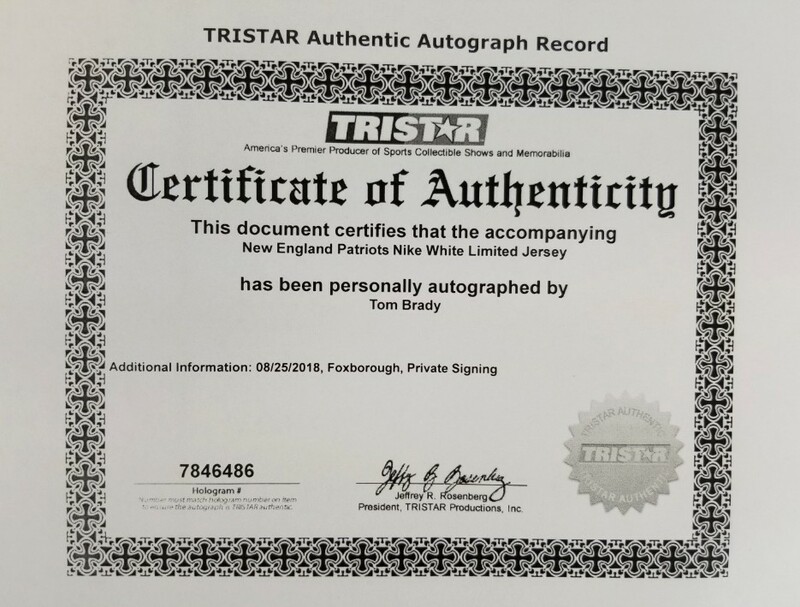 It comes with the numbered holograms from each company and Certificates of Authenticity. 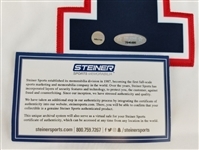 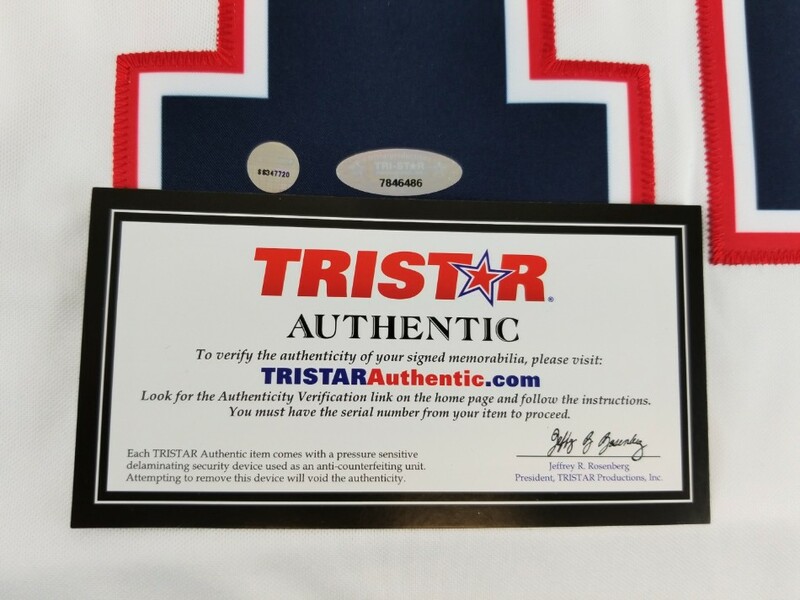 The authentication can be verified online as well on Tristar and Steiners websites.